Many people enjoy music and that is why we have developed a big range of bobble head dolls as musicians. There are many playing guitars or basses but also singers, dancers, drummers and conductors. There is also a bobble head doll playing the trombone, piano, keyboard, violin, saxophone, accordion, bongos or banjo. This means that whatever instrument you like to play or listen to, there should be a bobble head doll that will represent this. The dolls also make fantastic gifts for someone that enjoys music, particularly if they are a musician themselves. You can personalize the dolls by sending in a photo of the person that you would like the doll to look like. You can also specify their hair color, eye color and complexion so the doll will look as much like them as possible. 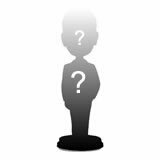 This means that you can give someone a doll which will look like them in the face but also be playing an instrument that they like to play. It can be a fun and quirky gift and is bound to be something that will make others talk as well. They will all think that it is funny and an ingenious idea and will wish that they had thought of giving it as a gift themselves.